Path to Publishing is a new blog series in which I interview published authors. It’s a great way for them to get free exposure as well as help other writers who are trying to get published. 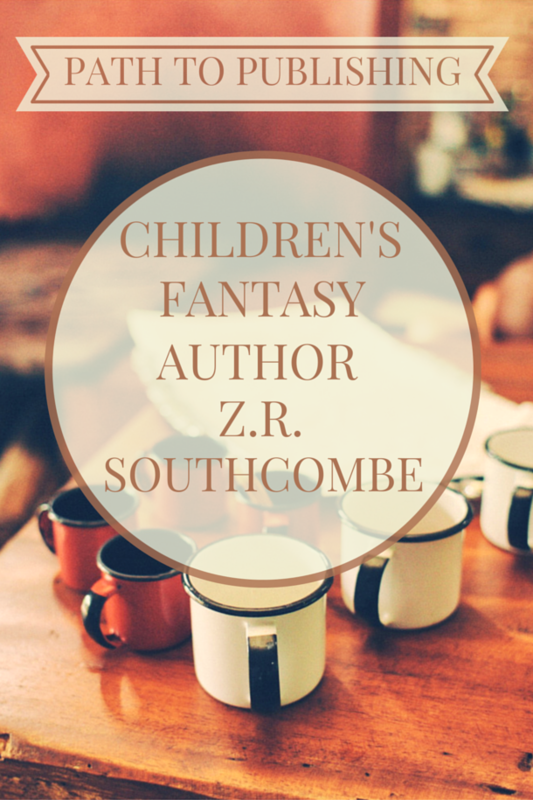 This week, I’m featuring children’s fantasy writer Z.R. Southcombe. Z.R. Southcombe. I write children’s fantasy. At the start of 2013. Roald Dahl – what I grew up on and made me want to be a children’s author. Also, he has a way of writing for children without being condescending, which I really respect. Lemony Snickett – his dry humour and his use of ‘big words’, as well as darker themes, remind me that children’s books don’t have to be wrapped in cotton wool. It’s fun. That is all. All over the place! I work my day job from 3pm ish in the afternoon. Currently my routine is either morning pages or a walk, then dayjob stuff for a half hour or so, and then I have a good 4 hours for writing. I have decided to keep this open, depending on what’s going on. Right now, I’m spending a good chunk of that time on pre-launch activities for my first chapter book release. When I’m in the middle of a draft, I usually spend an hour or two drafting, and the rest editing or re-plotting. That getting published is the goal – it’s the marketing afterwards that really makes a difference. My website, Instagram, Facebook, and Twitter.